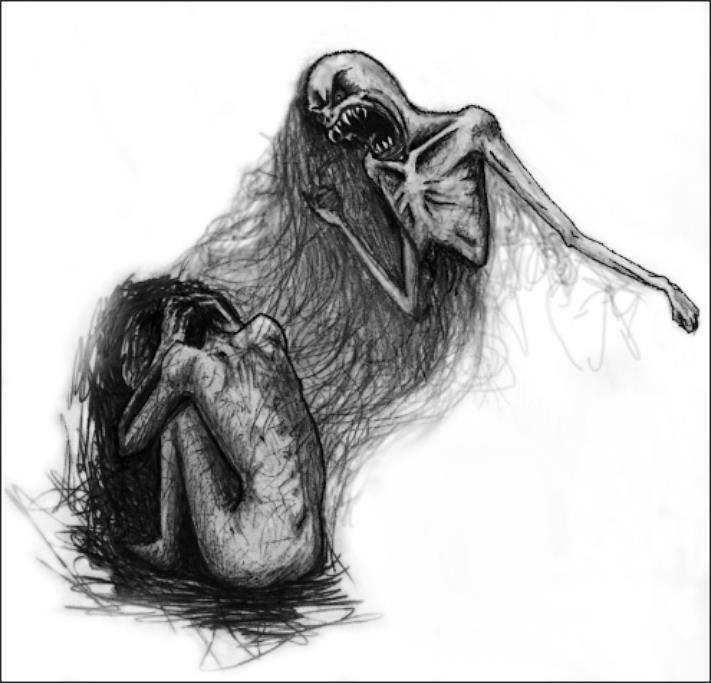 Anxiety, a terrifying monster-like existence who clings to us, it lurks in our shadows. Everyday, I wake up and the dawn with its rosy hands grasping everything, the cold breeze whispering, and here I am, trembling. Panicking, I try to rush preparing to go to school, as I walk by, I shudder at the many eyes gazing at me, as if laughing. Every time a teacher of mine asks me a question, I gulp and shiver inside, fearing the silent jeers that might come from the people around me. I gather up the courage to fight the shadow of anxiety, but I know that I will fail. Every dark thought is running up in my veins, turning the red blood to deep black, carrying all negative emotions. Even though I’m not supposed to feel like this, I can’t help it. Anxiety turns my existence to a shallow, fragile glass that seems to break down with just a single breath. Winter, a season where the slumbering giant awakens and exhales its frigid breaths, turning everything into a frozen world. 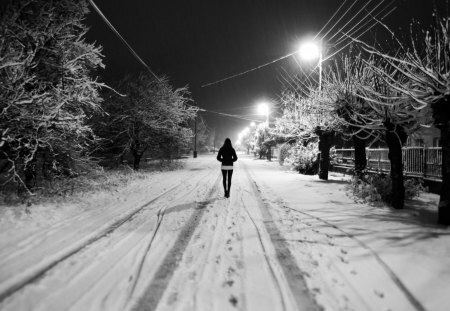 Every time I step, I leave a mark on the white, slippery road. Everywhere is lifeless, with the wind scattering the coldness, and the branches of the leafless trees, as if wanting to catch the snows, stretching out everywhere. However, for me, everything is beautiful, the white world sparkling and blurry, like the silhouette of love, the blue fairies dancing everywhere, making me surge up with emotions in this cold world. Still, these emotions won’t last long, as the hot, massive ball of fire and the seemingly fluffy cottons in the sky, albeit carrying the water of grievance, will melt the snowy world. Right now, I seek out warmth, as I know that even the winter that I love will imprison me, frozen, entrapping me for a long time. However, for the last time, as I lay down on the snow, wishing the freezing world will last long. Books mend one’s soul, then forms an imaginary world in your mind, albeit without anyone knowing what’s in there. Everything in there is the choice of the words that you taste, you can lick the words and it might be a sweet and delicious candy, but it can also be a very bitter dark chocolate. As your eyes absorb the sculptures made of ink, you might see the holy light of the heaven’s gate, or the dreadful flames of hell. Then, something magical happens when you listen to the sound of words, you might hear the serene and pleasant voice of a siren, turning your mind to a state of tranquility; or you can even hear a devastatingly terrifying roar of an ancient dragon, breathing its fiery breaths.. Furthermore, when you smell the dead wood marked with ink, you might be able to smell the spices from a very old town, waking up the nostalgia from the very nook of your mind or worse, you might even smell the filthy smell of raw sewage. 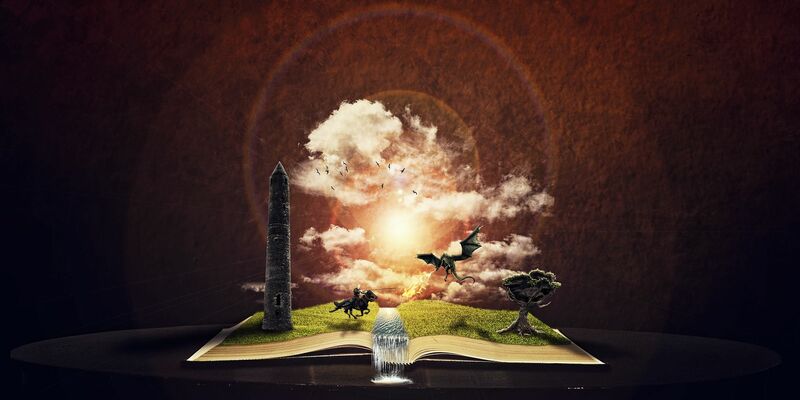 With books, you can imagine a very vast world, even if it’s the past, present, future, or even the world of fantasy, it will be transported into your mind.